If your laboratory is working to highly stringent SOPs, or is UKAS or CPA accredited, then you know that you need to be able to trust and prove that your laboratory equipment is operating to the highest standards. For forensic and diagnostic applications complete confidence in the procedure and data obtained is essential and can only be guaranteed with regular checking of your PCR Thermal Cyclers. 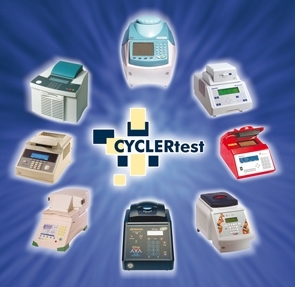 The use of biological positive, negative and threshold controls is insufficient to guarantee reliable PCR results but the unique method CYCLERtest MTAS (Mobile Temperature Acquisition System) available from Anachem performs both static and dynamic testing on every commercially available thermal cycler and Real Time PCR machines including the LightCycler. This sophisticated and accurate temperature validation service reports on the real time performance of your PCR machine, which will help you better understand your results, enabling you to conform to regulatory requirements and to adapt protocols for more efficient use of your valuable reagents. UKAS accreditation of this system ensures you are complying to the most stringent laboratory practices of ISO:17025, whether you work to these guidelines or not. Anachem’s technicians will carry out all validations in your laboratory for maximum efficiency and convenience. Plus, having the validation performed in situ ensures the performance of your cycler is measured as you use it everyday.